– In the ‘Driver’ film, a ceramic artist needs to carry out a fairly risky reversing manoeuvre in the middle of some statues. He accomplishes this manoeuvre without a problem thanks to the Surround Rear Vision technology, one of 20 driving aids fitted as standard. – In the ‘Worker’ film, thanks to the Grip Control with Hill Assist technology, an entrepreneur picks up the apprentices left behind on a construction site. 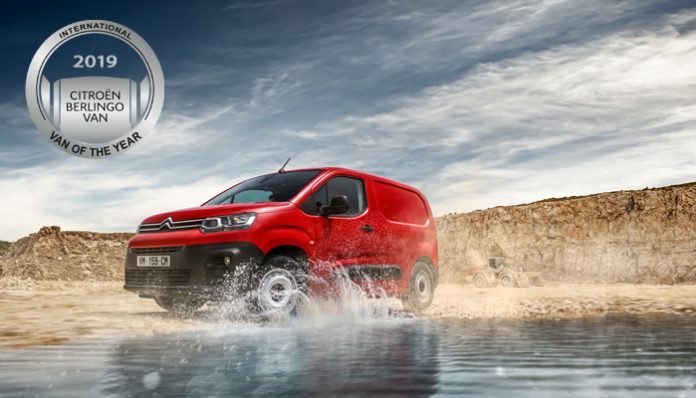 With Doing It All, the Citroën range of commercial vehicles is developing to meet these new needs: a commercial vehicle combining strength, ease of loading, modularity, etc., while becoming a real mobile office and having many connectivity, driving aid and Citroën comfort technologies. The Brand’s ‘Inspired by You’ signature is in this way very naturally adapted to the world of business and the target customer base of tradespeople with ‘Inspired by Pro’. – ‘Driver’, specially designed for businesses and their employees who need to make long journeys or numerous deliveries in an urban area. It puts the emphasis on comfort and offers many driving aids, like for example the Surround Rear Vision technology. This new innovation (like the overload indicator) monitors the side and rear surroundings, in both reverse and forward gear, using two sensors – one located on the passenger side exterior mirror and the other above the side-hinged doors. – ‘Worker’ designed for professionals transporting equipment and colleagues on all types of construction sites with for example Grip Control with Hill Assist Descent, raised ground clearance and an increased payload of 1,000 kg.